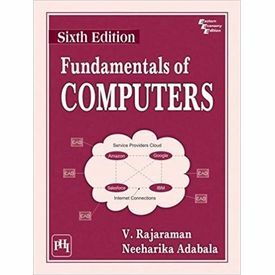 The sixth edition of the highly acclaimed “Fundamentals of Computers” lucidly presents how a computer system functions. Both hardware and software aspects of computers are covered. 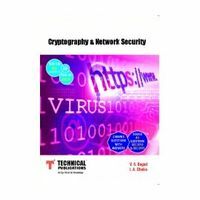 The book begins with how numeric and character data are represented in a computer, how various input and output units function, how different types of memory units are organized, and how data is processed by the processor. The interconnection and communication between the I/O units, the memory, and the processor is explained clearly and concisely. Software concepts such as programming languages, operating systems, and communication protocols are discussed. With growing use of wireless to access computer networks, cellular wireless communication systems, WiFi (Wireless high fidelity), and WiMAX have become important. Thus it has now become part of “fundamental knowledge” of computers and has been included. Besides this, use of computers in multimedia processing has become commonplace and hence is discussed. With the increase in speed of networks and consequently the Internet, new computing environments such as peer to peer, grid, and cloud computing have emerged and will change the future of computing. Hence a new chapter on this topic has been included in this edition. 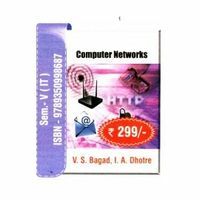 This book is an ideal text for undergraduate and postgraduate students of Computer Applications (BCA and MCA), undergraduate students of engineering and computer science who study fundamentals of computers as a core course, and students of management who should all know the basics of computer hardware and software. It is ideally suited for working professionals who want to update their knowledge of fundamentals of computers. The sixth edition of the highly acclaimed “Fundamentals of Computers” lucidly presents how a computer system functions. Both hardware and software aspects of computers are covered. The book begins with how numeric and character data are represented in a computer, how various input and output units function, how different types of memory units are organized, and how data is processed by the processor. The interconnection and communication between the I/O units, the memory, and the processor is explained clearly and concisely. Software concepts such as programming languages, operating systems, and communication protocols are discussed. With growing use of wireless to access computer networks, cellular wireless communication systems, WiFi (Wireless high fidelity), and WiMAX have become important. Thus it has now become part of “fundamental knowledge” of computers and has been included. Besides this, use of computers in multimedia processing has become commonplace and hence is discussed. With the increase in speed of networks and consequently the Internet, new computing environments such as peer to peer, grid, and cloud computing have emerged and will change the future of computing. 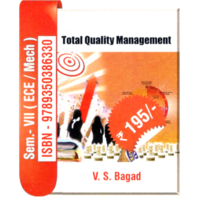 Hence a new chapter on this topic has been included in this edition.This book is an ideal text for undergraduate and postgraduate students of Computer Applications (BCA and MCA), undergraduate students of engineering and computer science who study fundamentals of computers as a core course, and students of management who should all know the basics of computer hardware and software. It is ideally suited for working professionals who want to update their knowledge of fundamentals of computers.